Borosilicate Glass is, in our opinion, the best material to make glass pipes, glass bongs, & glass rigs out of. We are a huge fan of glass art and functional glass art made with borosilicate glass. These glass pipes are harder and more resistant to shock damage than soft glass i.e. a beer bottle. This kind of glass is made with rods that are fired in a kiln before utilization by the end user. A whole other level of awesome. 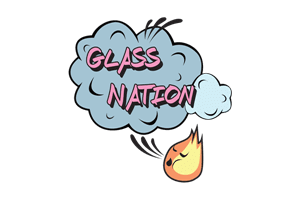 Glass Nation strives to have the best selection of glass bongs, glass rigs, & glass pipes online. You won’t be disappointed by our best quality glass art and our best glass art selection online. We have functional glass art from all the glass art industry’s biggest names and influencers. We know glass smoking devices like fish know disposable plastic products: super well.